“Equality Reef Services have 20 years’ experience in mass catering across South Africa and focuses on the mining sector, and empowering and building their communities at the same time. ERS brings extensive experience and competence to ATS Southern Africa in delivering value and development to people on and off mines. 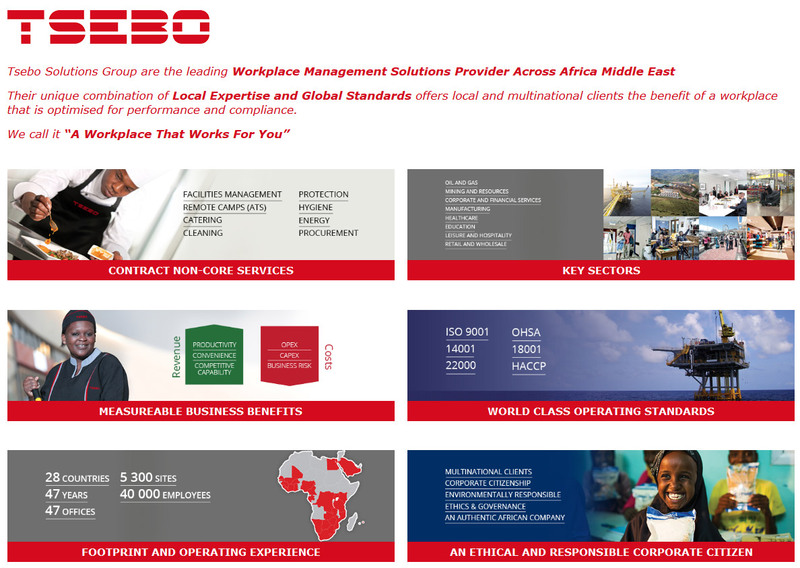 “Fedics Site Services was built out of Tsebo’s flagship catering business, Fedics – the largest and most established contract catering provider in Africa. Since 1985, Fedics Site Services has supported infrastructure and development projects in mines throughout Southern Africa. It brings all this experience and capacity to ATS Southern Africa, along with deep intellectual property in the highly-specialised oil and gas sector.